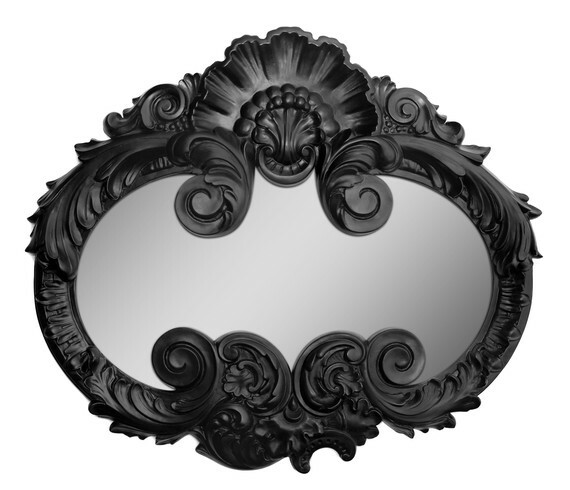 I had to look at this photo for a few seconds before I saw past the ornate, neo-Rococo frame to recognize the familiar Batman icon making up the actual mirror itself. Very cool! Created out of hand-molded, painted gypsum from a 2008 design by Stanislav Katz, this conversation-starting mirror comes standard in black, vintage gold or white (with other colors available on request), and measures just over 32-inches wide by 27-inches high. The sale price for one of just five mirrors currently available is $320 (not too dear really, considering) with shipping (from Latvia!) setting you back another $120. Purchasing information can be found at This Link! ← Happy Birthday, Herb Alpert! Epic! Though too pricey for my blood! This is like a Rohrschach test. I see boobies. My first impression was the logo for Pringles Potato Chips. Guess I’m too much of a nerd. My eyes went straight to the bat symbol.